I don't know what it is about the video that Nintendo released following their Super Smash Bros. for Wii U Direct presentation yesterday. It has all the cringe and corn one would expect for something that runs on the Disney Channel, but it's somehow an awesome clip. Okay. Maybe "awesome" drives a little too far. It's terrible, but it knows exactly how terrible it is. 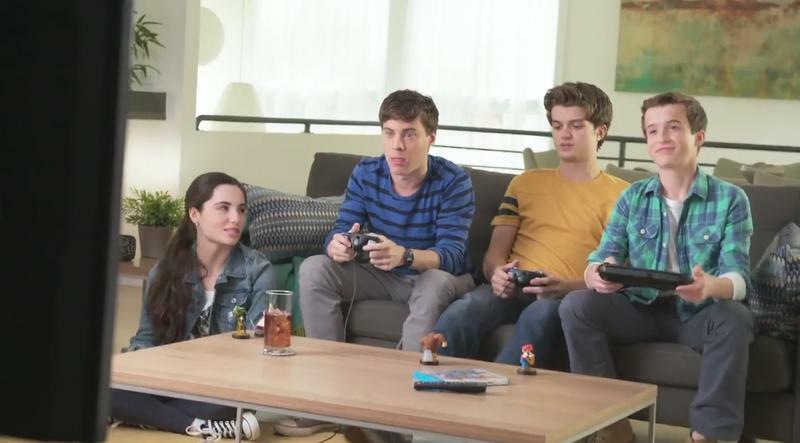 What the video does show well, in between horrible one-liners and awkward teen acting, is how the amiibo work with Super Smash Bros. on the Wii U. Your amiibo is, as the name would imply, your friend. You'll train them up to level 50 while playing alone, and then you'll toss them into battle with friends as the figurines become your virtual teammates. And, I have to say, this trailer pushed me a little further towards wanting one. I could absolutely see getting together with friends, each of us with our own amiibo in tow, and playing hours and hours of local Smash with virtual comrades. That actually sounds pretty sweet. Both the initial wave of amiibo and Super Smash Bros. for Wii U launch on Nov. 21, 2014. That's less than a month away, so stay tuned for more.